A sprawling double-album filled with fantastic songs, absolutely essential for anyone with ears. Imagery that really stays with you. "4th Time Around," his take on "Norwegian Wood." Insomnia from over-listening, and analyzing. The nice SA-CD set is a little pricy. Bob Dylan's seminal album, Blonde On Blonde, in my opinion, is one of the perfect records of American music ever released. Right off the bat, you get the less-than-serious brass band anthem "Rainy Day Women #12 & 35," which is, unfortunately, the album's best-known track. From there, you are treated to some fine lyrical works, evoking images of oversized hats, and mysterious women abroad. The music is excellent as well, not in your face, or overtly present, but what Dylan referred to as "that thin, wild mercury sound." 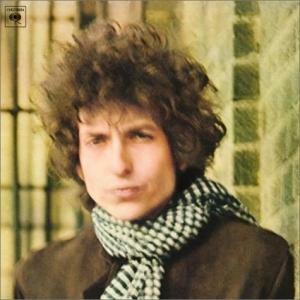 Blonde On Blonde is a great fusion of folk, country, and the more frenetic style of Rock and Roll that Bob first unveiled on the first half of Bringing It All Back Home, and later more famously on Highway 61 Revisited. There's something about this album that just oozes greatness. All of the songs are critical to the overall feeling and mood of the whole; taking one away would tarnish it. It's that good. This album will inspire you, and make you think of music in ways you never thought possible if your exposure to the art is limited to what's playing on the F.M. currently. A pleading call to the masses, please look into this album.